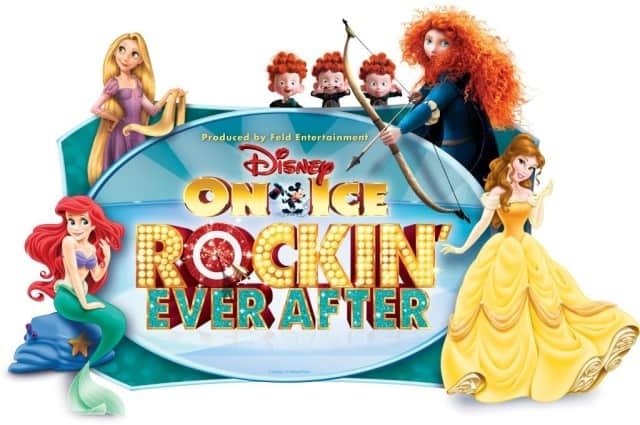 If you are thinking about going to see Disney on Ice: Rockin’ Ever After when it’s in town, take our word for it-DON’T MISS IT! 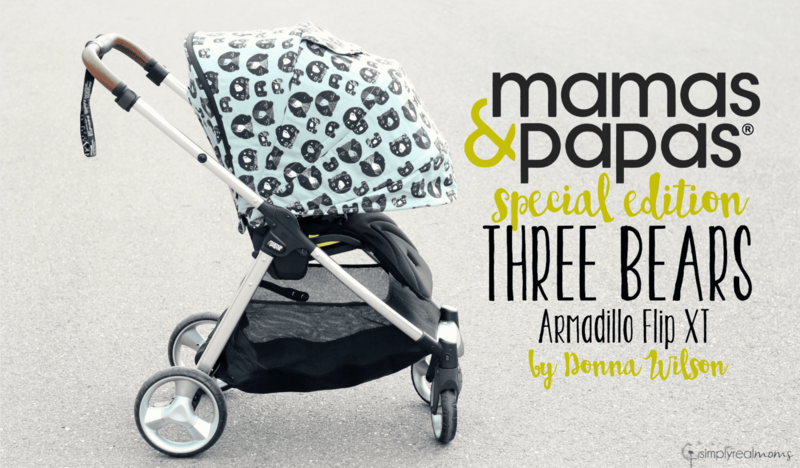 This was such a fun show for everyone, we are so glad we took our kids! 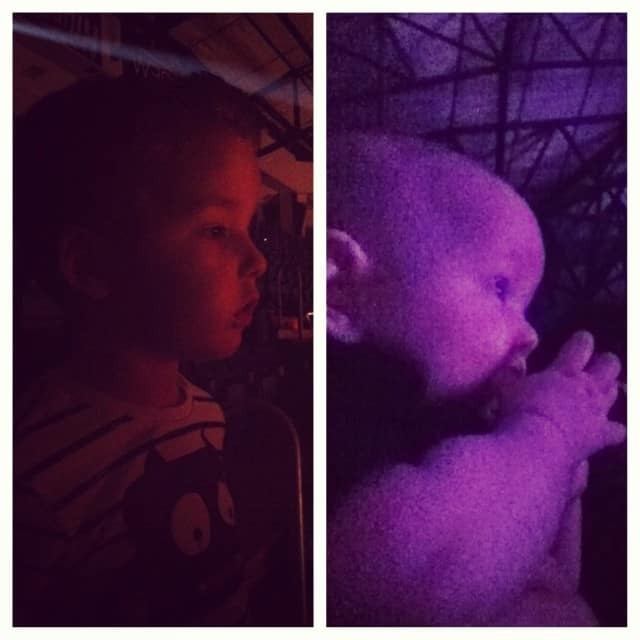 I was concerned that my boys wouldn’t be as interested since it focuses on some of the princesses, but I was pleasantly surprised at just how into the show my boys were! Even though it focuses on Ariel, Rapunzel, Merida and Belle, it is their stories that are being told rather than focusing on the princesses themselves. 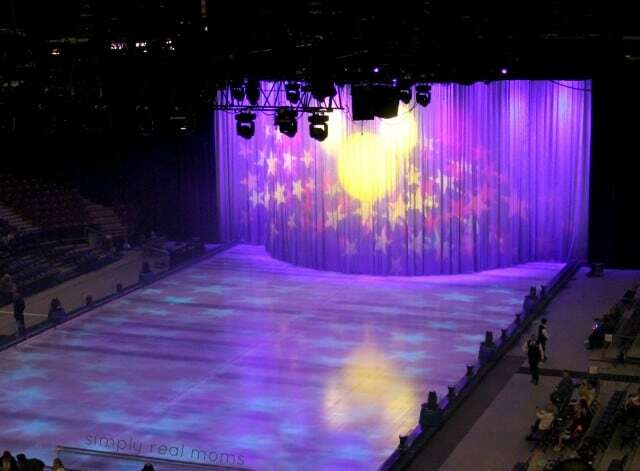 First off, what a gorgeous rink they had set up! 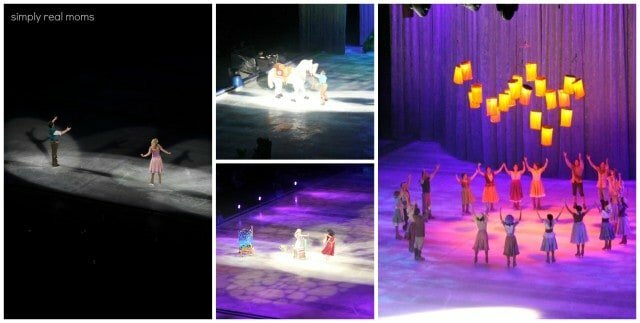 This particular show was held in a basketball arena that we had been to many times before and Disney on Ice seems to have transformed it so magically! Both of my sons, including my 4 month old were sucked right in to the visuals! Watching Ariel’s sisters and Sebastian sing and dance was such a delight. Once Ariel joined, it was hard to hold back from singing along to a soundtrack even I know all the words to! Ruffians, Thugs, Mother Gothel, Flynn Rider, Maximus and even Pascal make appearances to tell the story of Rapunzel. The floating lanterns were our favorite part! 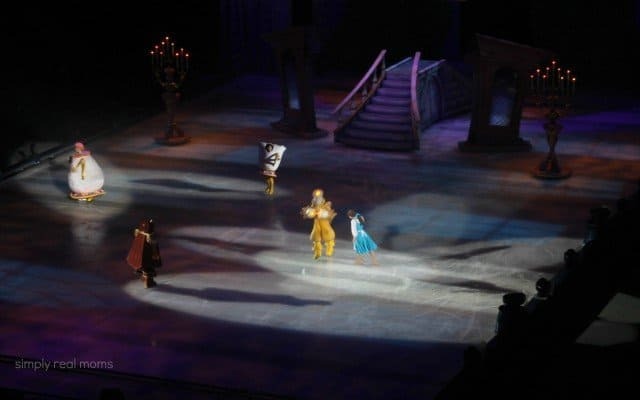 The living housewares from Beauty and the Beast are too fun on the ice telling Belle’s story! Love that bookworm gal and her story too! Other characters like Mickey and Minnie, Goofy, Donald Duck and Pinocchio all showed up too! 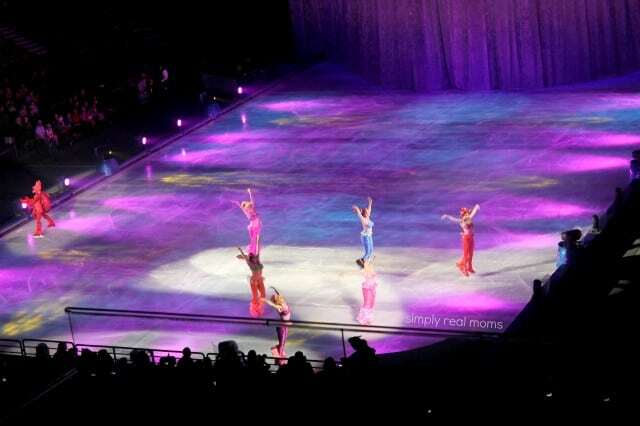 Oh how the arena roared with squeals when each new character would skate out! This show is full of songs you and your child will want to sing along to! Popular songs from each movie are included and the skating is so on point! Fun, especially since the winter Olympics have had my son all about watching winter sports and he was excited to see the skaters! My only advice is to take advantage of the intermission! It is a pretty long show. Let your kids get up and move around, go to the bathroom and even get a treat when the intermission rolls around to keep them from getting too antsy at the end! Find out when Disney On Ice is coming to your area, and take your family to see a great show! *We were hosted by Disney on Ice but all opinions are my own.